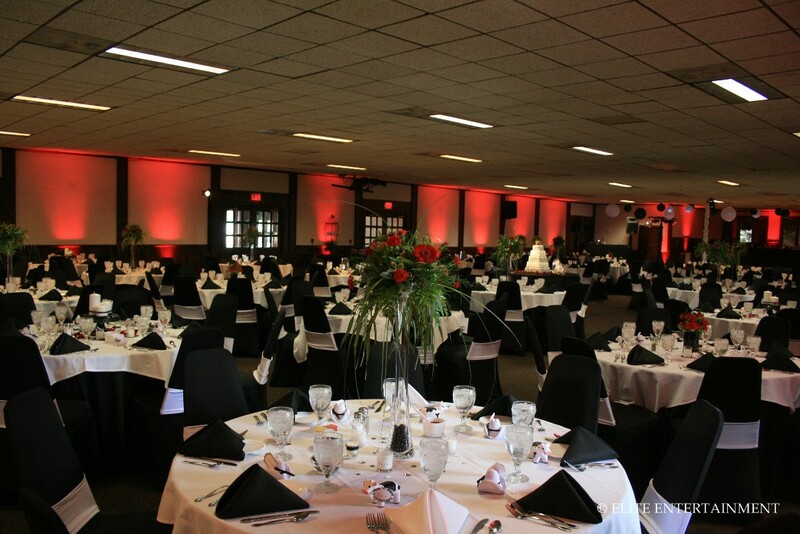 Amie and Cody held their reception at the Beef House in Covington, Indiana after seeing pictures of the room and how we could transform it. Her colors were black, white, and red. 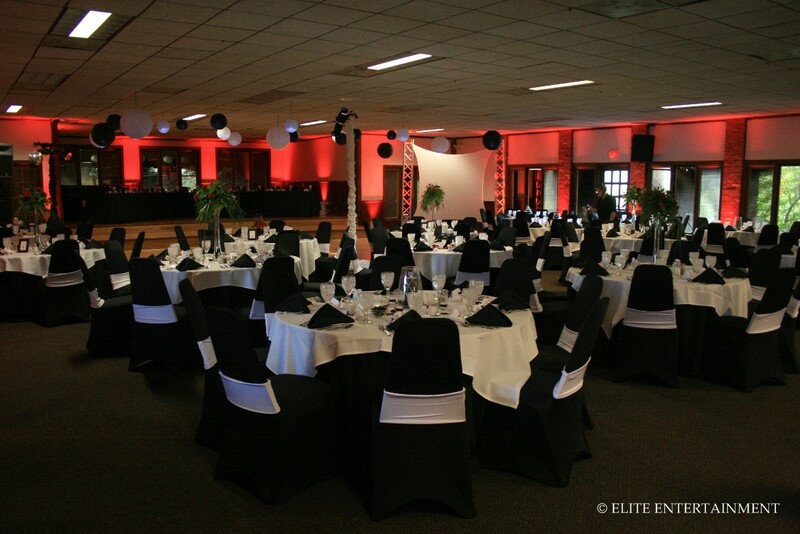 She used our black stretch chair covers with white stretch bands for a very modern look. We also provided floor-length black polyester tablecloths, and then they used the Beef House’s smaller white tablecloths as an overlay. We left a few of the overhead lights on while the guests arrived and during dinner, and then we were able to shut them all off once the dancing started. The room took on a red glow from the up-lighting. 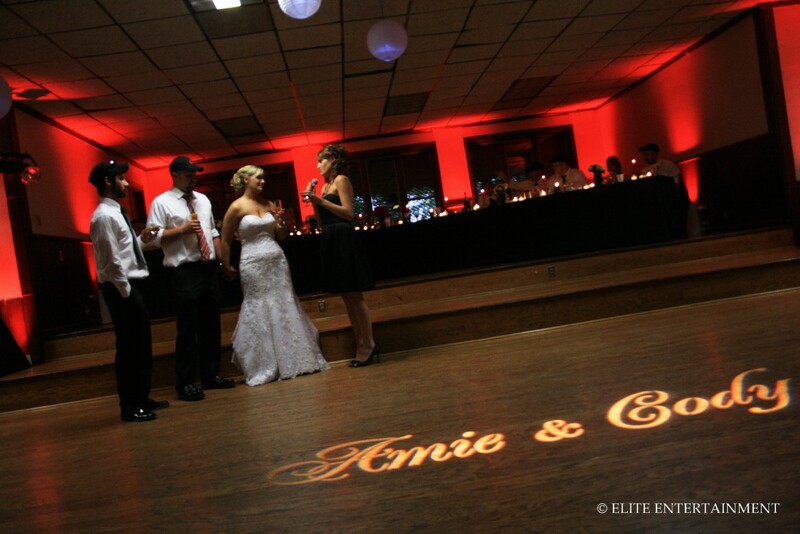 Their head table was up on the stage, and then we put their names on the dance floor. They also used our video screen to show their photo montage during the cocktail hour. Kaitlin was their DJ, and they loved country music. So their first dance was to “Love Your Love the Most” by Eric Church. 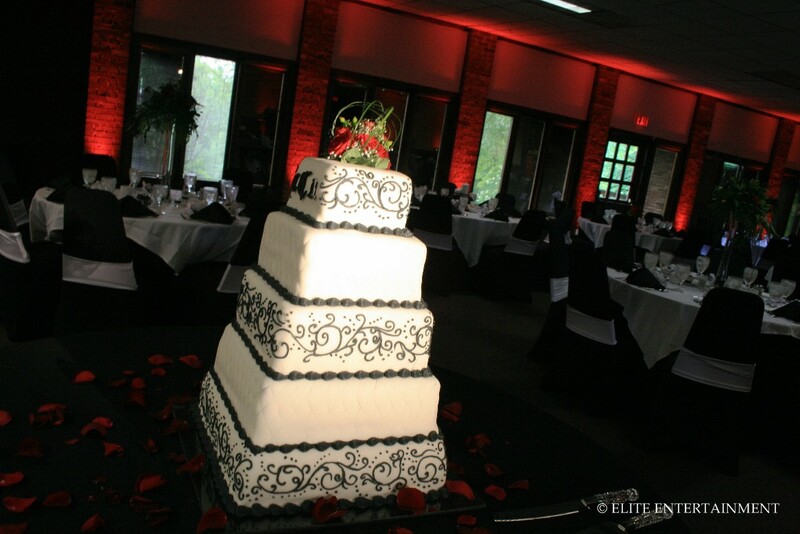 ~ by Elite Entertainment on May 18, 2010. This entry was posted on May 18, 2010 at 4:24 pm and is filed under Beef House.You can follow any responses to this entry through the RSS 2.0 feed.You can leave a response, or trackback from your own site.